riparian woodland and scrub, and wetlands." "The Habitat Management Plan (HMP) describes an Adaptive Management framework to guide the process of improving habitat conditions at Arana Gulch. 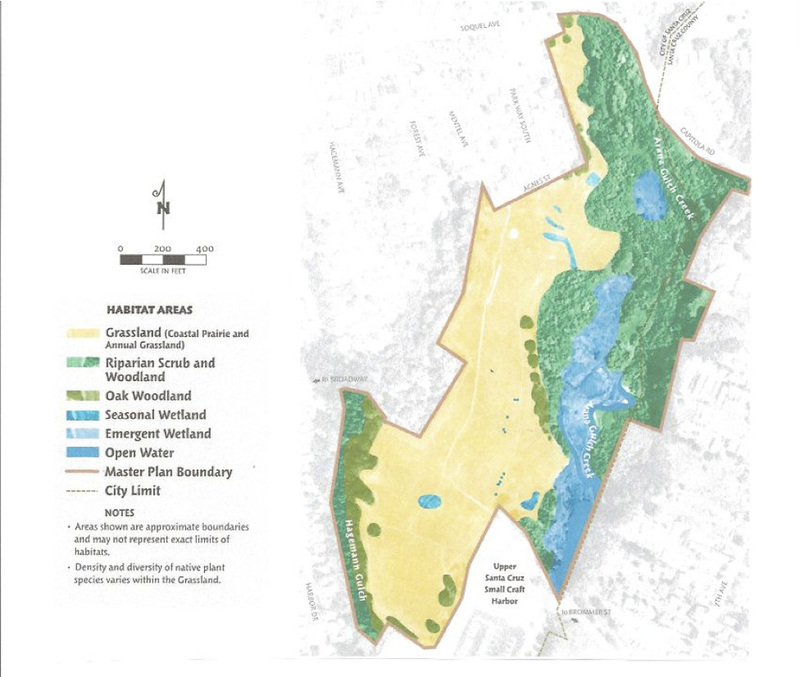 The adaptive management framework recognizes that effective resource management and land-use decision-making requires sound scientific information.The Adaptive Management Working Group (AMWG) has a central role in the framework to guide the City on the implementation of HMP activities. The working group serves at the pleasure of the City with the approval of the Executive Director of the California Coastal Commission. "The Arana Gulch AMWG is comprised of a group of cooperative and committed stakeholders interested in the outcomes of decision-making and in the technical process of managing target conservation resources. The City of Santa Cruz has allocated funding to support implementation of the HMP." ​ Click HERE for the Adaptive Management Working Group website.